'Franklin House' in Waverly designed by émigré architect Hugh Buhrich. Shot by Max Dupain. 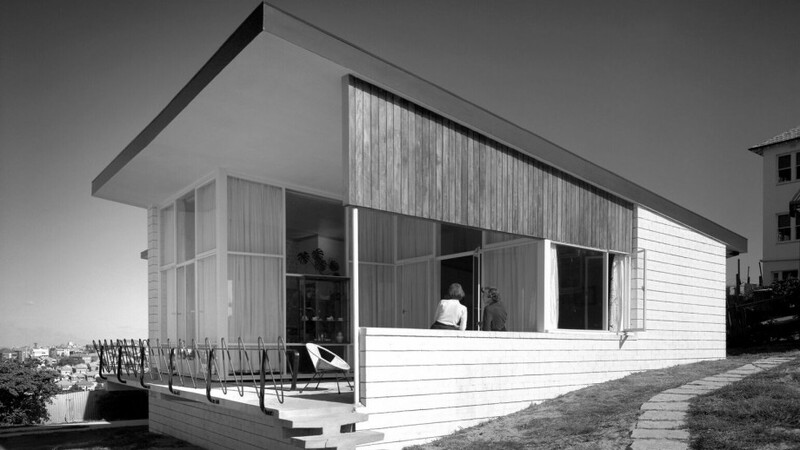 Author Rebecca Hawcroft will talk about her research into some of Canberra’s many fascinating émigré stories in relation to the ‘other’ designers, architects and photographers that have shaped Australian modernism as we know it today. While Harry Seidler is one of Australia’s most famous architects, little is known of his European-born contemporaries. The newly released title ‘The Other Moderns‘ (whoooot!) uncovers the work of these forgotten émigré architects, interior designers, and furniture makers working and reveals their ground breaking impact on modernist design. ‘The Other Moderns’ explores the work of this unacknowledged group of style makers for the first time in a richly illustrated publication including stunning images from Austrian-born photographer Margaret Michaelis and furniture from the collection of Hotel Hotel Canberra. Author Rebecca Hawcroft will speak on her research for the book and focus on some of Canberra’s many fascinating émigré stories and the connections that intertwine with the designers featured in the book and the exhibition ‘The Moderns’, currently showing at Museum of Sydney. Canberra Modern is an annual program of interconnected events which aim to showcase Canberra’s unique mid-century modern places.